What follows is an abstract of the research project I am currently working on. It is scheduled to run until early 2015 and is funded by the Bank of Sweden Tercentenary Foundation (Riksbankens Jubileumsfond). 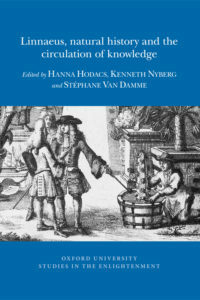 The preliminary title of the project is A Curious and Useful Life: Pehr Löfling and the Globalization of Knowledge, 1729–1756. If you read Swedish, there is more information on the project blog. And if you are working on anything even remotely related I would be happy to hear from you – please contact me! Pehr Löfling (1729–1756) was one of the most prominent students of naturalist Carl Linnaeus. During a brief life spent in Sweden, Spain and South America, he became deeply involved in the globalization of knowledge that Linnaean natural history represented from the middle of the eighteenth century. He was directly engaged in the formulation of some of his teacher’s new principles and methods; he contributed to spreading them in the European Republic of Letters; and he was given a rare chance of applying the Linnaean ideas in a colonial context, where they both challenged and were challenged by indigenous epistemologies. The goal of my research is to understand how different stages and aspects of the globalization of knowledge impacted on and were affected by individual lives such as Löfling’s. Based on an approach that David Livingstone has called “life geography”, I will primarily analyse three encounters and the spaces (literally situations) in which they occurred: between Löfling as a young man and the Linnaean circle in Uppsala; between him as a Linnaean “apostle” and Spanish botanists in Madrid; and between him as a European colonial naturalist and the Amerindians of the Orinoco region in present-day Venezuela. 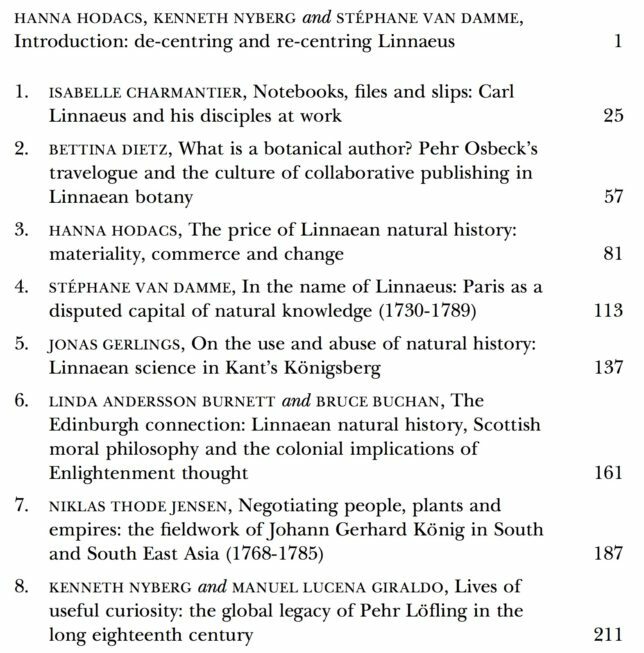 Some of the questions I hope to address are: What do these exchanges and their outcomes tell us about the theory and practice of Linnaean natural history? How did space, location, place affect the allegedly universal science that Löfling represented? Finally, what role did the motives of curiosity and utility play in his scientific work as it evolved over the years?